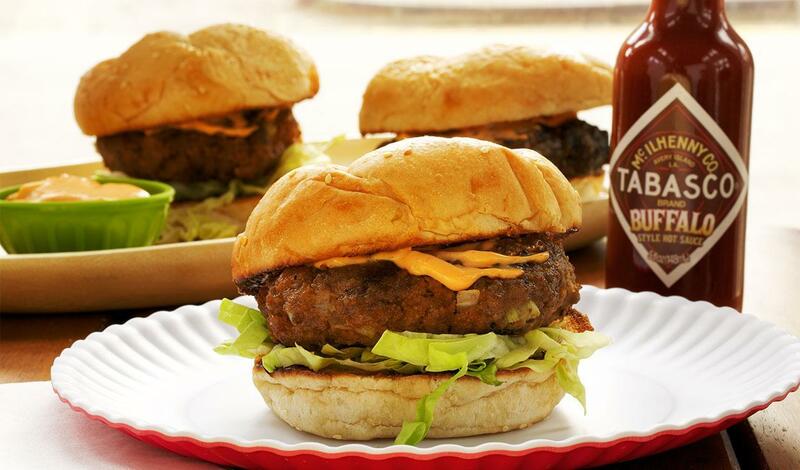 In a medium bowl, combine the beef, onion, celery, cheese, 65 mL of the TABASCO® Buffalo Style Sauce and salt. Form the meat mixture into 8 patties. Wrap and refrigerate until ready to cook. Combine mayonnaise, ketchup and remaining 15 mL TABASCO® Buffalo Style Sauce in a small bowl and refrigerate.